Morocco operates a personal status law known as the “Mudawna”. This is essentially the family code of Morocco. It is based on Sharia jurisprudence. It includes that Moroccans living abroad can draw up a marriage contract in the presence of two Muslim witnesses, and it can be registered with a Moroccan Consulate or judicial authorities. This is very important for Moroccan Nationals who are living abroad who wish to have their issues regulated with the knowledge that this will be respected by Moroccan law. Both men and women can start divorce proceedings in Morocco, although reconciliation and mediation are encouraged before this takes place. Divorce proceedings take place in the secular court, rather than before religious officials. The parties can always get divorced via mutual consent. In respect of children matters, priority in respect of residence usually goes to the mother, but this is a matter of custom rather than black letter law. 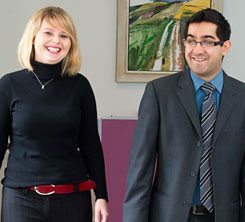 We are specialist international divorce lawyers and family solicitors and we advise clients who are either UK-based but originate from Morocco, or are living outside of the UK but have a connection with England or Wales.